IRS told employees to ignore potential fraud in program used by immigrants – Washington Times. The Treasury’s inspector general for tax administration (TIGTA) said the IRS is too focused on getting out refunds quickly rather than getting them only to qualified taxpayers. Auditors also said the agency eliminated some methods employees had used to figure out questionable refund requests and doesn’t have the right training or tools to screen out bogus identity documents when immigrants apply for taxpayer numbers. The agency said it has put new checks in place to try to crack down on fraud, including getting training from the Homeland Security Department on how to verify documents when an immigrant applies for an ITIN. 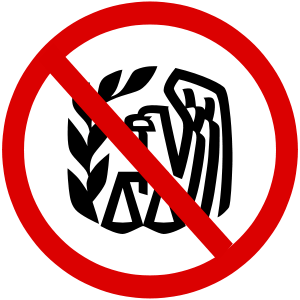 But the IRS disputed the inspector general’s assumption that fraud is rampant in many of the cases in which taxpayers are using the same addresses for multiple applications. “While this is one of many risk factors for fraud, it is also the case that some taxpayers list the address of the tax return preparer to ensure that any future correspondence from the IRS is received. The IRS is analyzing this issue in more detail as it conducts its review of the ITIN program,” the agency said in a statement. The auditors took a closer look at fraud after being prompted by senators, who said they had heard complaints from IRS employees that their warnings were being ignored. Mr. George confirmed that, saying IRS supervisors were urging employees to turn their backs on potential fraud from identity theft. Rep. Sam Johnson, Texas Republican, called for IRS Commissioner Douglas H. Shulman to resign. He has written a bill that would limit the popular child tax credit to only those taxpayers who have a Social Security number. The House passed a bill that included a version of his legislation, but the Senate has not acted on it. The IRS said the law doesn’t prohibit illegal immigrant parents from obtaining the credit, though many members of Congress disagree. Overall, the audit painted a picture of some cases investigators said should have raised red flags.